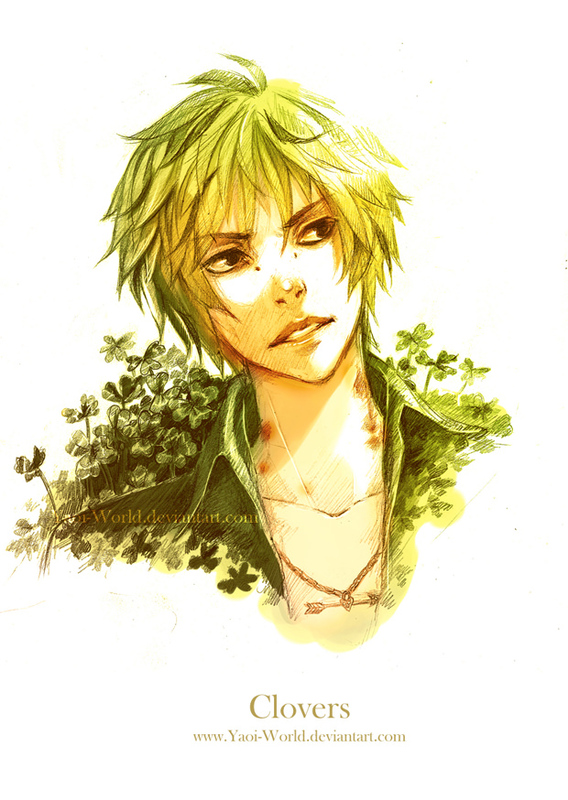 Name: Clyde Clover though almost everyone only knows him as Clover. Siblings: Many who still work back on the farm that he keeps safe back home and out of the city. Social Standing: Travel companion to Lady Nightshade, Clover is doctor of sorts as well as a merchant of Dandelion wine that his family's farm sells. Hair Appearance: His hair is made of bright green leaves that lay gently over his face. Abnormalities: A piercing over the bridge of his nose, as well as a missing pinky on his left hand, and speaks with a very heavy Irish accent. Abilities and Powers: Great medical knowledge of all the races from his many travels; the most steadfast hands a surgeon could ever dream of; can hold his breath for around 15 minutes; weather inclination; and can hold is liquor quite well. 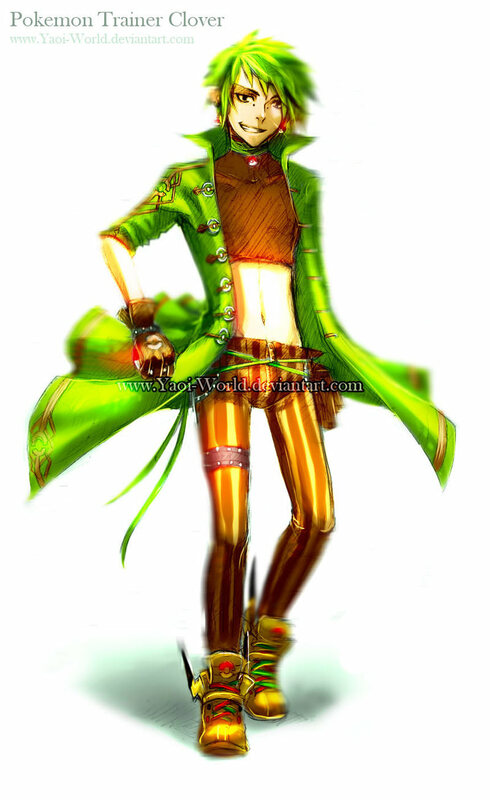 Equipment: A brass necklace with a small bottle holding a four leaf clover, his medical bag filled with supplies, and a large jug of dandelion wine always strapped around his hip.